Born to a family of musicians from Bucharest, Romania, Cristian Sandrin has been initiated in the art of sounds by his own father, later continuing his studies with Marina Dragomirescu and Cristian Dumitrescu, having had his solo debut at prestigious Romanian Atheneum Hall at the age of 13. After graduating the Dinu Lipatti€� Art College in Bucharest, Cristian moved to London where he studied under the tutelage of Diana Ketler at the Royal Academy of Music. Having graduated with First Class Honours in 2016, he is currently pursuing a postgraduate degree at the same institution. His studies have been generously supported by the John S. Cohen Scholarship, The Hattori Foundation, the Countess of Munster Musical Trust Mark James Award, Harold Craxton Memorial Trust, the Sainsbury’s Award from RAM, the Tilllett & Collin Kerr Trust, Help Musicians UK and ABRSM. He is currently a receiver of the Piano Fellowship of the Philharmonia Orchestra’s Martin Musical Scholarship Fund 2017/2018, benefiting also from a scholarship of the Imogen Cooper Music Trust. Along the years Cristian participated in numerous masterclasses and programmes, working with fine musicians and pedagogues such as Imogen Cooper, Thomas Ades, Richard Goode, Angela Hewitt, Pascal Devoyon, Francoise Thinat, Kathryn Stott, Christopher Elton, Jacques Rouvier, Pavel Gililov, Ronan O’Hara and Frank Braley. A proactive and versatile musician, Cristian had his solo debut recital at the Wigmore Hall in London in September 2017 and his solo debut at Salle Cortot in Paris in November 2011. His passion for conducting led him to direct numerous piano concertos by Mozart from the keyboard. He directed Mozart’s Piano Concerto K595 in B flat major with his own orchestra, the Piano Festival Chamber Ensemble at RAM in June 2017. A guest artist of Surrey Hills Festival, Petworth Music Festival and Chipping Campden Festival, other London highlights include solo and chamber performances at the St Martin-in-the-Fields, St James Piccadilly Church and the Freemason Hall. In Romania, Cristian Sandrin is a regular guest artist of the Filarmonica Mihail Jora€� Bacau, the Sibiu Sibiu Philharmonic, Ramnicu-Valcea National Philharmonic and Bucharest Symphony Orchestra, performing piano concertos under the baton of Ovidiu Balan, Mark Csikes and Florin Totan. Other international engagements include performances at La Fenice€� Theatre in Venice, Theatre de la Montjoie, Salla Manuel de Falla in Madrid, Palazzo Ricci in Montepulciano, the Romanian Atheneum in Bucharest, and Bulgaria Philharmonic Hall€� in Sophia. His performances have been broadcasted my Radio Romania Muzical, Radio Trinitas, the Polish National Broadcaster, the NHK (the Japanese National Broadcasting Company). Cristian Sandrin won numerous prizes and awards at international and national competitions. 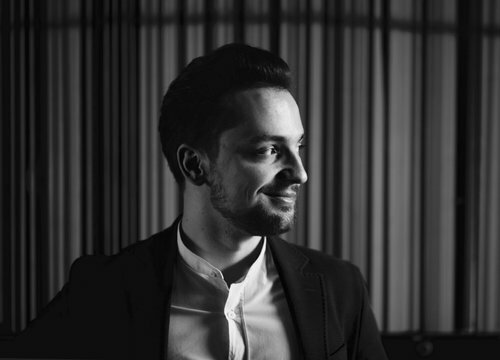 A First Prize winner of the Yourii Boukoff International Competition in Sofia (2009), a runner up of the Automobile Club de France Piano Competition in Paris (2011) and a First Prize winner of the ProPiano Competition (2012), Cristian was also a laureate of the Animato Competition in Paris in 2012. Currently based in London, UK, in recent years he has taken part in some of the most prestigious piano competitions in Europe such as: The Fryderyk Chopin International Piano Competition (2015), the ARD International Competition in Munich (2017), the Clara Haskil Piano Competition (2017), the Bremen European Piano Competition (2014) and many others. At the Royal Academy of Music he has been awarded the William Sterndale Bennett Prize for a recital of Romantic repertoire and in 2016 has been awarded the Harold Craxton Prize for chamber music. In 2010, 2011 and 2012 Cristian won consecutively scholarships from the SoNoRo Interferente chamber music workshops providing allowing him to collaborate with internationally recognized artists such as Diana Ketler, Razvan Popovici, Andrei Ionita, Bjork Lewis, Razvan Suma, Erich-Oskar Huetter. In the past years he has established fruitful relationships with numerous musicians, performing chamber music with the Fitzroy Quartet, the Halcyon Quartet, the Behn Quartet, the Moriarty Winds, Margarita and Kristine Balanas, Lydia Hillerudh and Marisol Lee. Currently he is collaborating with scholar Timothy Jones, recording the fragmentary works for piano and violin by Mozart.